with limited and fleeting results. At a starting weight of 367 lbs, I've lost 132 lbs so far, am going full steam ahead to my lean body weight goal of 160lbs. I have completely changed my cravings and improved my energy level. As a busy Mom and business owner, this has been the most empowering thing I've ever done. I even drive in from the mountains to get such expert coaching from Howard & the staff at SlimDown4Life. An absolute life renewal ! If it wasn't for SlimDown4Life, I wouldn't be the person I am now. I started on the program in December 2013, and weighed 289 pounds, I got down to my goal weight of 185 in just 7 months, and have kept it off going on 10 months. The great staff with their support and knowledge make this program work for you. When you are on this program you dedicate yourself on how you should eat and live. Never give up no matter how hard it seems. Thanks again to the staff at SlimDown4Life! The food is also very delicious. 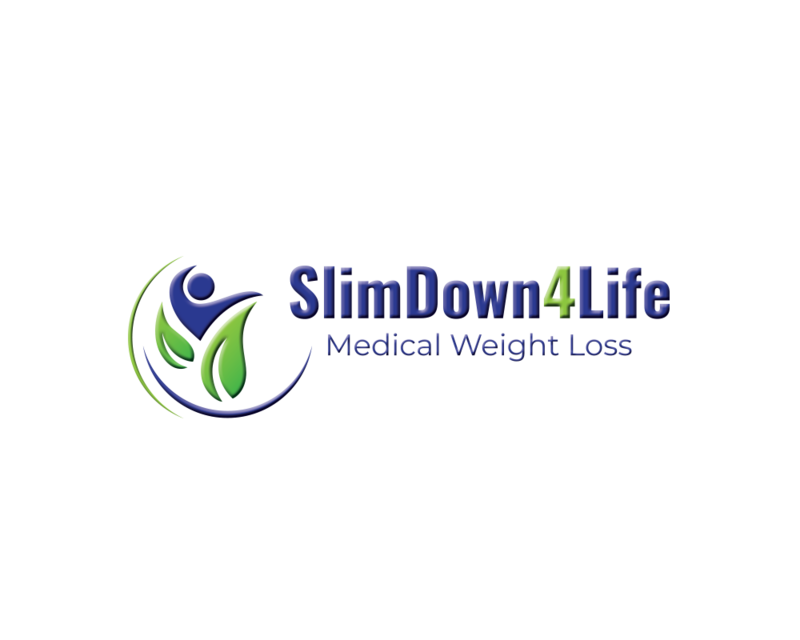 Try out SlimDown4Life Today, and it will change your life 4 the better. My energy level has improved greatly, and I have been able to maintain and keep the weight off. What an amazing journey the last couple of months have been. Shortly after turning 52 I gained a considerable amount of weight and tried everything from starvation to juicing but nothing was working until I found SlimDown4life and the Ideal Protein protocol. I've not only lost the weight I had gained but reshaped my entire body. My skin is amazing and physically I'm stronger than I've ever been. The entire staff is very professional and amazingly healthy. A big thank you to Howard and the staff at Slimdown4life, you didn't just help me lose weight, you helped me get my amazing life back. I feel GREAT!!!!!!! Down 33lbs from my starting weight in just 10 weeks. Feeling constant temptations working in the restaurant/bar industry, and wanting to obtain some lofty fitness goals... I found this focused, medical-grade program that gave me the big-time lift that I needed. Like many of us, I have tried several diets over the years with limited success. Ideal protein meal supplements are tasty, making them something to look forward to rather than dread. Howard has been a great coach throughout the program. Always providing suggestions and encouragement made the weekly sessions enjoyable and rewarding. I feel confident that I will be able to maintain my weight loss, but know that if I gain a few pounds I will take it off again quickly and easily. First for Howard, who helped me see the value of staying the course. The clean nutrition and high bioavailability of the Ideal Protein diet is at least one way I can help my conditions by ensuring proper nutrition. Changing dietary patterns is a process, and encouragement, suggestions and sharing options are so helpful. All the puzzle pieces have come together. In a world that does not promote nutrition, Integrative Health team members are a great resource to help keep people on track. I will also say that already I am comfortably fitting into clothes sizes from almost 2 years ago. So I am moving in the right direction and am well nourished! I send big thanks to Howard for a wealth of encouragement and to Julie, for being wonderful and continuing keeping me on the path. During January of 2014, I was diagnosed with Diabetes. Diabetes runs in my family on both my Mother’s and Father’s side. I have witnessed my Uncle battle and lost his battle to Diabetes, my Mother is on multiple medications and she has a hard time maintaining a good overall health because of this disease. I am 44 and a single Mom of a 9 year old Boy who solely rely on me for daily care. Getting a Diabetes diagnose did put everything into perspective, I knew that I needed to reset my whole system, and not depend on any medication. I almost immediately started my protocol of Ideal Protein Diet and I am so grateful. Not only did I lose 17 pounds in 8 weeks but I DID reverse my Diabetes diagnosis. And it was all done in a very healthy way, I did not starve at all, and the food provided was good and tasty and I had a lot of options to choose from. My Doctor was amazed, he has never in his years of practice as a family Doctor seen any patient reverse a Diabetes diagnosis in 8 weeks and without medications. My follow-up labs were amazing, all of my important numbers like cholesterol and blood pressure were superb. The Ideal Protein Diet did do more than fixing my Diabetes and getting my weight on the right track, it gave me my confidence back, my whole system was rebooted, I have a good sleeping pattern and good eating habits, and I am full of energy. I will not finish without thanking Howard and his team who are so supportive and caring. They listened to me, gave me options and tips to help me with the process. It was never about keeping me as a client for the longest time and get more money from me, they encouraged me to get to the finish line and they were so proud of me. Again, thank you ! I signed up for the Ideal Protein Weight Loss Program in early May, 2015 and was pleasantly surprised at the care, attention and excellent weekly counseling I received from Howard Flamm and his Staff. My original goal was to reduce my weight from 208 lbs. to 175 lbs. over a 3 month period. I am very happy with the results, as it has now been a little over three months and my weight has stabilized at 172 lbs. The program was pretty easy to follow, with daily e-mail messages I chose to opt in to that originated from Ideal Protein Corporate that educated me and helped me stay on track. I utilized the Ideal Protein products outlines in the protocol and found them to be tasty and satisfying. My laboratory results from prior to Ideal Protein to June of 2015 (which was my halfway point on the protocol), showed exceptional changes. Contact SlimDown4Life to discover healthy weight loss strategies in Greenwood Village, Colorado. Their weight loss coaching program is ideal for all ages. Request an Appointment If you are looking to request some assistance in booking your appointment or would like to speak with someone to book your appointment, please call us at 303.577.9977 or complete the form below and one of our staff will be happy to get back to you.